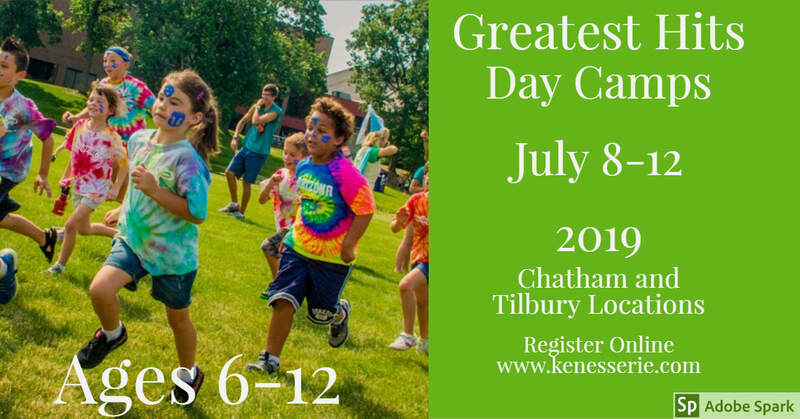 ​Kenesserie Camp runs two separate day camps. The locations will be confirmed soon . Drop off begins at 9am and camp runs until 4pm. Campers will participate in camp activities at these locations which include wild indoor and outdoor games, crafts, songs, and walking to various places in the community. Campers need to bring their own lunches. As well as a bathing suit and towel each day for water games or a walk to a splash pad. This experience is not only good for busy parents during the summer who need a fun, safe environment for their kids to thrive in, but also gives the kids a taste of what summer camp has to offer, which may lead to them joining us for an overnight week of even more wet, wacky and wild fun!